The Dental Practice Exchange offers a free classified advertising service to brokers as well as practice owners interested in acquiring, merging or disposing of a dental practice in the United States. In terms of transparency, it is worth clarifying that the Dental Practice Exchange is not a business broker and we are in no way associated or in partnership with any of the brokers that appear on the site. We operate a free business model, and derive our income from selected banner advertising from brokers, attorneys, accountants and financial institutions that operate within the dental practice M&A market in the United States. The team behind the Dental Practice Exchange are qualified accountants and understand and strictly abide by the principles of confidentiality, professionalism and integrity. The Dental Practice Exchange website is owned and operated by De Mowbray Limited, registered in England and Wales, company number 08406353. Our registered address is 145-157 St. John Street, London, England, EC1V 4PW. 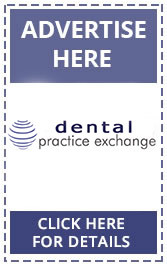 You can contact us by email to accounts@dentalpracticeexchange.com or via the Contact Form on this site.